Past, present and future TV and digital innovations introduced to augment coverage of the Champions League, the Europa League, the Euros and the Nations League will be discussed and showcased at SVG Europe’s Football Summit 2019 in Paris next month. During a specially convened session, delegates will get a unique insight into all four of UEFA’s flagship club and international football tournaments as senior operations and technical staff outline the current broadcasting set-up and discuss potential future plans. “Best Seat In The House: The inside track on broadcast and digital innovation at UEFA” will be the opening session of what is a packed conference programme that also features, among other things, an Augmented Reality showcase and a Match Directing masterclass. More speakers will be announced soon. As with all SVG Europe events, there will be plenty of networking opportunities throughout the day. Delegates will also get the chance to take part in a guided tour of the Stade de France. 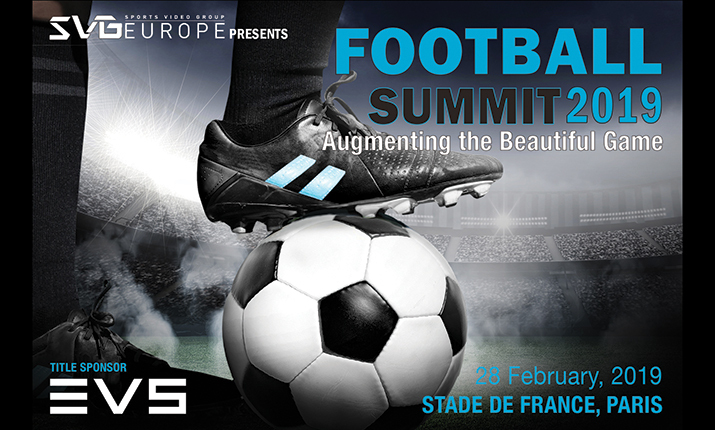 The Football Summit, sponsored by EVS, will take place at the Stade de France in Paris on Thursday 28 February 2019.